The two key problems that many new DIY Income Investors have are lack of knowledge/experience and limited financial resources, both of which mean that it is difficult to invest effectively and diversify properly. Diversification is most challenging in corporate bonds, which often have relatively large minimum purchases (e,g, over £10,000). One way to deal with this might be to start by building up a DIY portfolio of income-oriented ETFs (and possibly one OEIC). 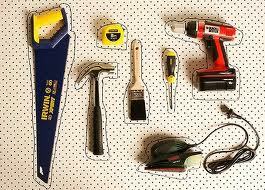 Most people take on DIY projects to avoid paying the professionals’ high charges. It’s not a criticism of the job professionals do, but rather a belief that an amateur can manage quite well on their own, too. So, I don’t buy many packaged financial products, including funds or investment trusts, as I don’t want to contribute to City bonuses. One compromise is to try a combination of income-producing exchange traded funds (ETFs), which offer a reasonable range of investment options and provide diversification at a relatively low management cost (as do some of the new Vanguard OEICs - Open-Ended Investment Companies). All of these are based on physical holdings denominated in Sterling and are suitable for individual savings accounts (ISAs) and self-invested pension plans (Sipps). I have already written about gilts: the essentially risk-free 4% Consols are yielding over 4% – better than any gilt ETF – but I wouldn’t buy them at the moment. Out of the following I currently hold IUKD and ISXF. I suggest a mix of 50:50 dividends and bonds. iShares FTSE UK Dividend Plus – IUKD: 50 highest-yielding FTSE 350 stocks, excluding investment trusts, selected and weighted by one-year forecast dividend yield. SPDR UK Dividend Aristocrat ETF (UKDV): is quite new, with a dividend yield of currently around 4.3% based on the 30 highest dividend-yielding UK companies within the S&P Europe Broad Market Index (BMI) that have followed a managed dividends policy of increasing or stable dividends for at least 10 consecutive years. A further cheap, passive, equity income option is the Vanguard UK Equity Income index fund, launched in 2009. Although it is an OEIC fund, it has a modest TER of 0.25% (modest for a fund, that is) is cheaper than the Ishares fund (0.25% pa) and behaves much more like you would want this type of fund to behave. iShares GBP Corporate Bond (ex Financials) – ISXF: sterling-denominated, investment-grade corporate bonds, issued by non-financial organisations, with a minimum remaining time to maturity of one year and a minimum amount outstanding of £100 million. iShares GBP Corporate Bond- SLXX: 40 largest and most liquid sterling-denominated, investment-grade corporate bonds, with a minimum remaining time to maturity of 1.5 years and a minimum amount outstanding of £250 million. iShares Markit iBoxx £ Corporate Bond 1-5 – IS15: sterling-denominated investment-grade corporate bonds with an expected remaining time to maturity between one and five years, with a minimum amount outstanding of £100 million. SPDR Barclays Capital Sterling Corporate Bond ETF : with a current yield of 5.2% (redemption yield 3.9%), tracking the performance of the fixed-rate, investment-grade Sterling-denominated bond market represented by the Barclays Capital Sterling Corporate Index as closely as possible. There is, however, a health warning with these ETFs: most are pretty mechanical (hence the low management costs) and severe market shocks can hit them hard. This was particularly the case with IUKD, and for that reason a lot of income investors don’t like this ETF. But personally, after holding it for several years, I am showing a slight capital gain together with a regular dividend yield of over 5%. But it does have major shortcomings - the Vanguard UK Dividend OEIC might be a better bet. My suggestion for new investors is to use a combination of these ETFs as a ‘starter pack’ and then research the individual underlying securities, buying those that you fancy directly when your resources allow. More experienced investors should consider using the ETF holdings as a guide to investing directly in the underlying individual securities. A version of this article appeared on Citywire Money; some of the comments to this article have been incorporated. I hold ISXF and IS15 as well as INXG but didn't know about the SPDR bond ETF. Thanks! I also have the EM bond ETFs SEMB and SEML for a bit of diversification. Not so sure about these bond funds. There's a bit of a corporate bond boom at the moment - so yields have fallen to a level -4% or so. That looks pretty good when compared to cash, but is *very* exposed to falls in price if (or rather, when) the interest rates pick up. Remember: rates go up-->bonds go down. Granted, the "rates go up" part will not be happening soon - given the Chancellor's announcement in the December statement, of austerity until 2018. But these low yield bonds are in some ways riskier than the higher yielding bonds - which the market is currently repricing upwards (NWBD, LLPC etc).